Chef Sharad Dewan of The Park, Kolkata, puts it a little differently: “It is an Indian cuisine of a certain community influenced by British, French and Portuguese cooking styles. It changes from one region to another, especially when it comes to spices." So in the south, Anglo-Indian dishes tend to use pepper, cinnamon, cardamom; in the Goa-Mumbai belt, souring agents such as vinegar and kokum are popular, whereas in the east, the gravies use less spice. “However, you will notice that the basic recipes remain the same. The ingredients change in accordance to the availability of local items. For example, the Railway Mutton Curry made in Kolkata is likely to use mustard oil, while in Bangalore we will use sunflower oil. 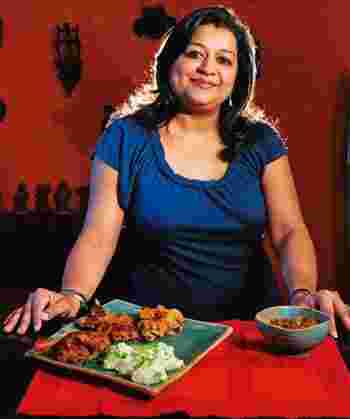 Or the aloo chop in Kolkata will be more like the Bengali kobiraji cutlet and use a lamb mince filling, while in the south or Goa, the chop will have a beef mince filling," says Bangalore-based Bridget White-Kumar, who has authored six books on Anglo-Indian cuisine. “Perhaps the additions started when the cooks moved out of European home kitchens and started cooking at clubs. Here, they could experiment and add spices that were often missing and tough to include in kitchens run by British madams," says Bagchi. Among the common ingredients of this fusion cuisine are Kharagpur masala (common in the east), vinegar, tamarind or kokum used as souring agents, turmeric, Worcestershire sauce or ketchup, green chillies and ginger. “The Kharagpur masala is a milder version of garam masala. This one does not have black or green cardamom, and is named after the old Raj railway town Kharagpur. In the east, you will find people using this masala-mix for dishes such as the RailwayMutton Curry all the time," says Dewan. White-Kumar says another significant departure from pure European cuisines was the accompaniment of rice and rolls (or chapati) with main-course dishes rather than sticking to bread all the time. “In fact, the famous mince ball curry or kofta curry is served with either saffron or turmeric coconut rice." Marinate the mutton chops in salt, pepper, parsley, ginger and onion paste, a dash of Worcestershire sauce and ketchup overnight, or for a couple of hours at least, in the fridge. Heat oil in a flat frying pan. Dip the chops one at a time in the beaten eggs and then cover with breadcrumbs. Shallow-fry in the hot oil on low heat until golden brown on each side. Take a cup of raisins, add 2 tsp grated ginger, a couple of chopped green chillies, 2 tbsp tamarind paste, 1/2 tsp powdered red chilli, 1 tsp sugar and salt to taste. Add a glug of vinegar. Purée in the mixer. Serve with mutton crumb chops or with masoor dal and rice.